BoDean Company’s access to natural resources allows the company to supply a wide range of aggregate material to both its contractor and homeowner customers. While all aggregate materials mined through BoDean Company begin in the same place, each serves a different purpose and has varying abilities in the projects supported. Subbase, or aggregate subbase (ASB), is often used as a means to provide additional stability to projects. Subbase is made up of smaller rocks of various sizes and particles often used to fill in space or gaps which can be compacted to form a more solid surface. This product is made up of material that is easily compacted and often used as a load bearing layer for any project requiring a solid foundation to help evenly spread the load of heavy vehicles or machinery. Because it is often found in use in stabilization and load bearing functions, the quality of subbase chosen is vitally important. Choosing a material that is not of good quality can sacrifice the success and/or function of the project. Subbase is available through BoDean Company in 3/8″ minus, 3/4″ minus, 1-1/2″ minus, and 6″minus ASB types and sizes. BoDean Company is proud to supply its customers with top quality ASB through the mining of its two quarries: BoDean Forestville Quarry and the Mark West Quarry. All aggregate material processed begins with the drilling and blasting of a mountainside. From there, the rock is then crushed, screened and sorted into various products. In the screening process, subbase is sorted out into its own category. ASB can often be found in highway engineering as it is the layer of aggregate material laid on the subgrade, which is typically native soil and the first layer in roadway construction. The subbase sits below the base course layer before pavement is poured in place. This product is usually used in conjunction with concrete or asphalt pavements. Subbase materials serve well for walking paths as well as both structural and trench backfill. Subbase is also very commonly used to create ranch and vineyard roads. Subbase can be used in a variety of projects for both contractors and homeowners alike. Trench Backfill – Backfilling is simply putting soil back inside a trench or in a foundation when the excavation has been completed. For example, subbase can be used in pipe bedding over drain rock and before grade, or lawn, is placed. This is a useful way to help compact the ground and provide additional support for any weight that will be placed above. Vineyard Road – Thanks to its compatibility and load bearing capabilities, subbase makes for an ideal choice for vineyard road. The product will typically be spread in thin layers before it is compacted down one layer at a time enabling the land to support the heavy weight of vehicles and equipment. Ranch Road – Just like for a vineyard road, subbase is widely chosen as a way to build drivable surfaces through ranch land. Structural Backfill – Structural backfill is used to create height or additional stability to other structures. For instance, it can be used for backing behind retaining walls. Shoulder Backing (3/4” CLI ASB) – is a rough rock aggregate that can be used on the outside edge of pavement to provide support and prevent edge cracking. BoDean Company is always working to improve its environmental standards and to ensure that all products meet whatever official standards and specifications are set before it. All aggregate product mined and produced at BoDean meets all local city, state and government specifications. Subbase mined through BoDean can meet specifications for a wide variety of uses for both the contractor and homeowner. From pouring a concrete slab to building a ranch or vineyard road, subbase may sound like the perfect fit. However, if you have a project that requires extra stabilization, it is exceedingly important to choose the correct product. When considering a subbase aggregate it is important to look at size and grading, absorption, and toughness/hardness. Sizing and Grading – Sizing and grading of an aggregate is determined by BoDean during the screening phase. 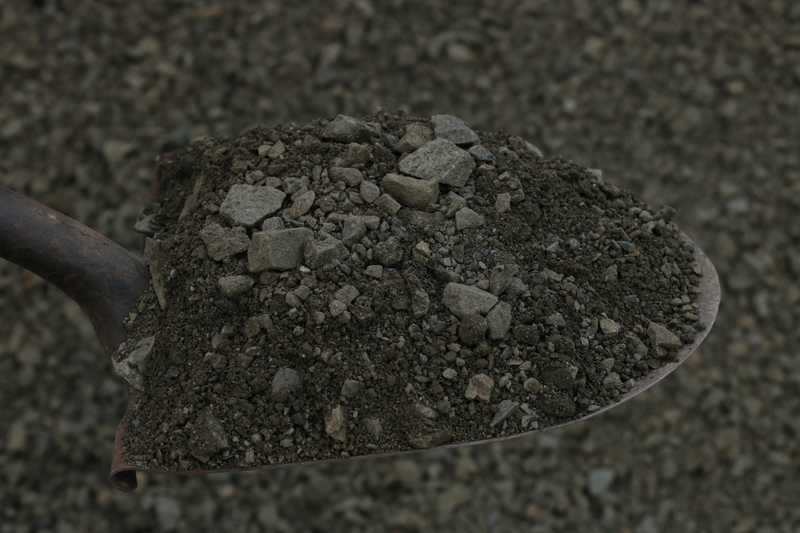 Once the mountainside has been drilled and blasted, aggregate material is then crushed into different sizes and screened to determine which category each piece of rock will fall in. This process is vital in determining the appropriate stability and density. Absorption – Moisture sensitivity is one thing to consider when selecting a subbase aggregate. The amount of water that is absorbed when the rock is soaked will determine its porosity. Because subbase is a compactable material, a certain degree of porosity is key in determining subbase quality to ensure a binding link between the adhesive product and the aggregate. Toughness/Hardness – Subbase can be used in structural applications and in roadway construction and therefore it is important to ensure that this product does not crush or crumble further when being transported or when in construction use. To ensure you choose the correct material for your project, please connect with one of our knowledgeable representatives for a complimentary consultation. Call today at (707) 576-8205 to speak with a BoDean Company specialist or click here to request a free online quote.